we had such a great time with our amazing guide Jackie, she was knowledgeable and funny! answered any questions we had a and showed us things we never would've known about or fully understood. i can't wait to spend more time in Hoi An now thanks to this experience!! 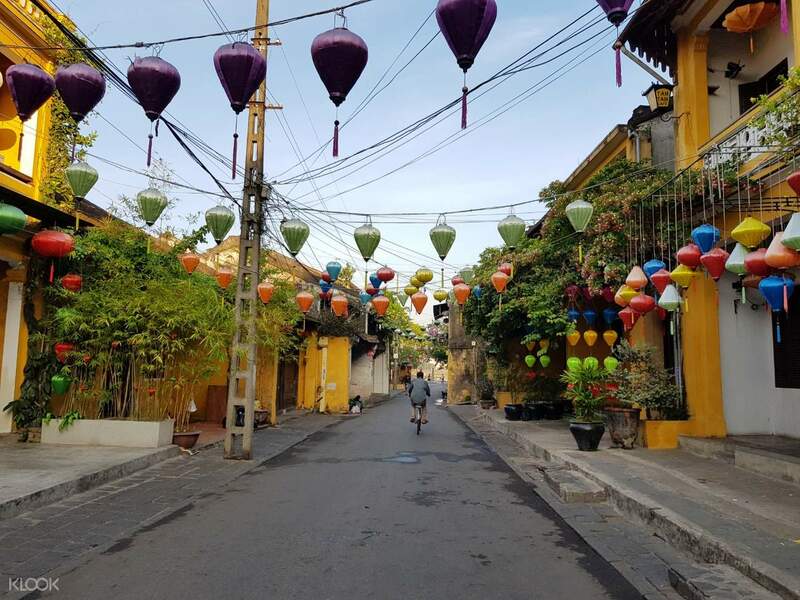 Embark on a private walking tour to the old port city of Hoi An, recognized since 1999 as a UNESCO World Heritage Site for having successfully preserved years of influence from both local and foreign cultures. With convenient hotel pick ups within Da Nang City center, you won't have to worry about the hassle of commuting from one city to another. As soon as you arrive in Hoi An, you'll proceed on foot through streets cars and motorbikes have no access to. 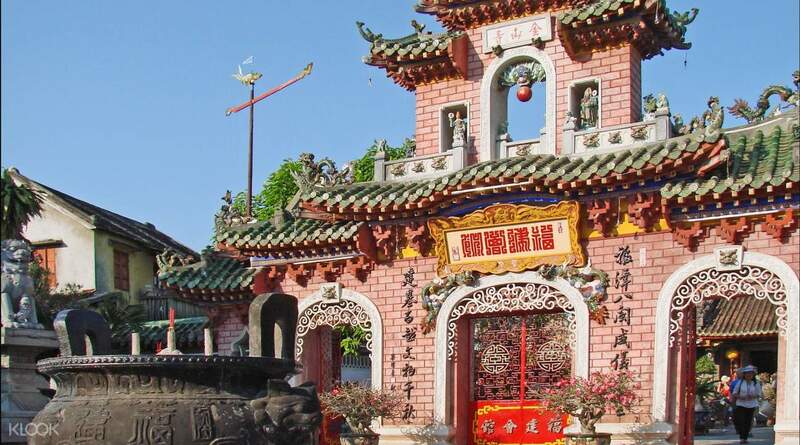 Your first stop in the tour is the Phuc Kien Assembly Hall, an ornate Chinese style temple that was first built as a traditional assembly area in which the ethnic Chinese Phuc Kien (Fujian) tribes could come together and socialize, before it was turned into a place of worship. Make your way to the Old House of Tan Ky, described as the perfect example of an 18th century merchant's house that has been well maintained by over 7 generations and counting. In the Old House, your guide will take you through the antique-filled rooms where you'll find relics of the prospering trade cultural exchanges between the Vietnamese, Chinese, and Japanese. As you continue the tour, you'll find another beautifully preserved 18th century piece - the Japanese Covered Bridge, the most famous bridge of its kind in Vietnam and probably the most visited tourist spot in the city, built by the Japanese community back in the day to reach the Chinese quarters. Your last stop in the tour is another historic house just a few steps away from the Japanese Covered Bridge. 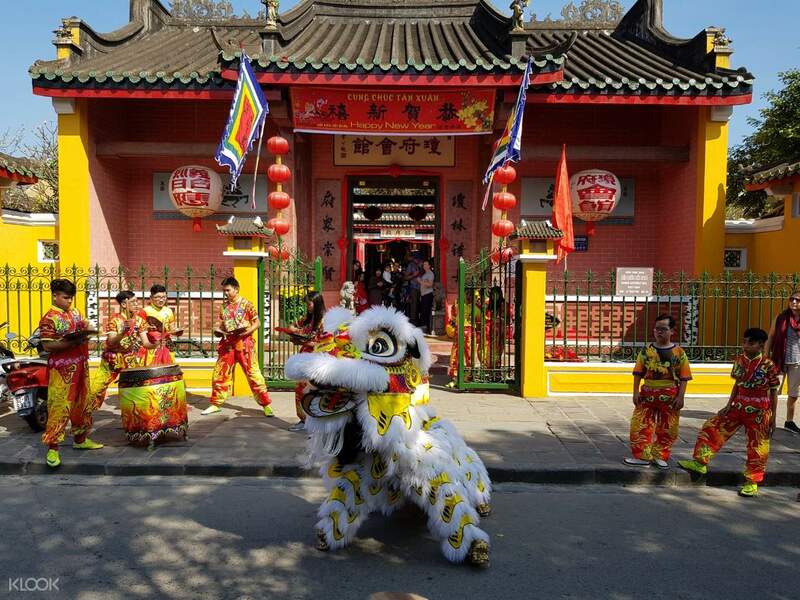 The Phung Hung House is a two storey building that features a fusion of Chinese and Japanese architectural design, plus handicrafts that showcase the culture and heritage of Vietnam. When your tour finally comes to an end here, you can choose to board the shuttle back to your hotel, or you can spend the rest of your day strolling around the streets until 9:00pm, the latest departure time back to Da Nang. A small tip - stay 'til after sunset and see the colorful lanterns illuminate the pebbled streets of the old city! It's a sight you wouldn't want to miss. If you're lucky, you might even get a chance to catch a performance during a festival! we had such a great time with our amazing guide Jackie, she was knowledgeable and funny! answered any questions we had a and showed us things we never would've known about or fully understood. 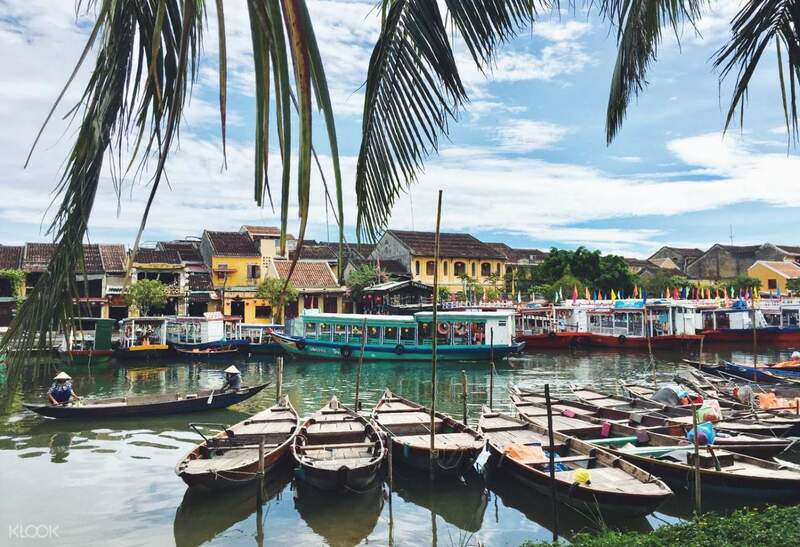 i can't wait to spend more time in Hoi An now thanks to this experience!! we had such a great time with our amazing guide Jackie, she was knowledgeable and funny! answered any questions we had a and showed us things we never would've known about or fully understood. i can't wait to spend more time in Hoi An now thanks to this experience!! I’m extremely happy with this private tour and would be the only one that I recommend from the Klook tours starting from DaNang. Hoi An is such a charming place particularly in the evening. This tour has a flexible return pick up so you can enjoy dinner, the night market, the little boat ride before the driver takes you back to your hotel. The private tour guide, Jacky, is very informative and i learn more about Hoi An than if I were to discover the place on my own. I’m extremely happy with this private tour and would be the only one that I recommend from the Klook tours starting from DaNang. Hoi An is such a charming place particularly in the evening. This tour has a flexible return pick up so you can enjoy dinner, the night market, the little boat ride before the driver takes you back to your hotel. The private tour guide, Jacky, is very informative and i learn more about Hoi An than if I were to discover the place on my own. Really enjoyed our tour with Jackie. Everything was well organised and lots to learn from her about the history of Hoi An. She ran the tour at a good pace and was never overwhelming. Jackie's food recommendations were delicious and easy to find! Really enjoyed our tour with Jackie. Everything was well organised and lots to learn from her about the history of Hoi An. She ran the tour at a good pace and was never overwhelming. Jackie's food recommendations were delicious and easy to find! Timely pick up from our hotel in Da Nang. Got hosted by Emma, who is friendly and speaks fluent English. Emma showed us around the old town of Hoi An with detailed description on culture and history thereat, and more importantly she led us to a delicious local Bah Mi restaurant. We made a last minute request in changing the time of return ride via WhatsApp and was responded timely. Definitely recommended! Timely pick up from our hotel in Da Nang. Got hosted by Emma, who is friendly and speaks fluent English. Emma showed us around the old town of Hoi An with detailed description on culture and history thereat, and more importantly she led us to a delicious local Bah Mi restaurant. We made a last minute request in changing the time of return ride via WhatsApp and was responded timely. Definitely recommended! Very good trip, from the nice polite driver to the cute tour guide, telling clear story about Hoi An. We'll have free time hanging around. I feel very good when I visit Hoi An. And we just have to tell driver the time when will we go back, it's really free. Trip leader also tell us what's delicious that we should eat, bahn mi is really really tasty! Very good trip, from the nice polite driver to the cute tour guide, telling clear story about Hoi An. We'll have free time hanging around. I feel very good when I visit Hoi An. And we just have to tell driver the time when will we go back, it's really free. Trip leader also tell us what's delicious that we should eat, bahn mi is really really tasty! Emma led us the tour, to our astonishment she was fluent both in English and Chinese, and was able to give a very detailed explanation about everything. We had a very great memory at Hoi An. Definitely worth the price. Emma led us the tour, to our astonishment she was fluent both in English and Chinese, and was able to give a very detailed explanation about everything. We had a very great memory at Hoi An. Definitely worth the price. The tour guide was great and explained the history/people's lives in great details. It was very informative. Hoi An is such a lovely town, and people are very friendly. Lanterns at night are very beautiful. The tour guide was great and explained the history/people's lives in great details. It was very informative. Hoi An is such a lovely town, and people are very friendly. Lanterns at night are very beautiful. The driver was very punctual for the pick up and drived safely. The tour guide was very helpful, knowledgeable and ensure our safety. He also gave recommendations on places to eat and to see the beautiful view of the colourful lanterns. The tour is a must go! Emma, the person who I liaised with prior and during the trip was also helpful, she ensure that the driver managed to find and pick us safety in Hoi An. The driver was very punctual for the pick up and drived safely. The tour guide was very helpful, knowledgeable and ensure our safety. He also gave recommendations on places to eat and to see the beautiful view of the colourful lanterns. The tour is a must go! Emma, the person who I liaised with prior and during the trip was also helpful, she ensure that the driver managed to find and pick us safety in Hoi An. Emma is more like a friend than a tour guide, so caring and thoughtful. We definitely had a good and memorable time in Hui An, this tour is too good to be missed. Emma is more like a friend than a tour guide, so caring and thoughtful. We definitely had a good and memorable time in Hui An, this tour is too good to be missed. We enjoyed the walking tour with a good English speaking tour guide. We enjoyed the walking tour with a good English speaking tour guide.